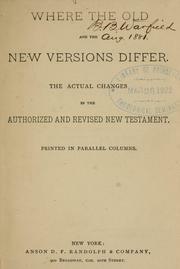 1 edition of Where the old and the new versions differ found in the catalog. Add another edition? Are you sure you want to remove Where the old and the new versions differ from your list? 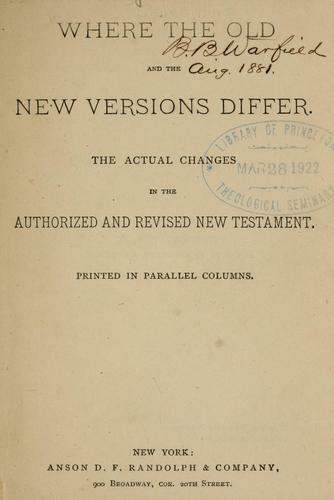 the actual changes in the Authorized and Revised New Testament printed in parallel columns. Published 1881 by A.D.F. Randolph in N.Y .
February 1, 2009 Created by ImportBot Initial record created, from Internet Archive item record.